I am currently working on a project with about 12 people. This is where I learned the importance of a great project management tool. We started off okay, but after a while it became harder and harden to keep a decent overview of what everyone was doing. I had been thinking of digging into the Symfony framework, but without a good project, learning a new framework is just not that easy. So what better to build a PMT. I know their are plenty of great alternatives, but this project was about more than just building something. I started of by building a simple layout. I mainly used the twitter bootstrap library. This was an obvious choice as I a am missing serious designer skills. I build some screens with dummy data, just to demonstrate what I wanted. Then the first database interactions came along. I created a form to add new issues. When I told some of my colleagues what I was doing, they seemed interested. So I started punching in issues on the github issue tracker as all my public projects and experiment are on github. I soon noticed I needed more structure, so I separated the issues in milestones. I created small and clear milestones. I also kept incouraging my colleagues to create issues for new ideas and feature requests. After some time the first pull requests got in. I realy liked the way the project took shape. Now the project is in an idle stage, as the workload of other projects is taking its toll. But in a few weeks I plan to continue developing the PMT and discover new ways how to tackle problems in a symfony fashion. 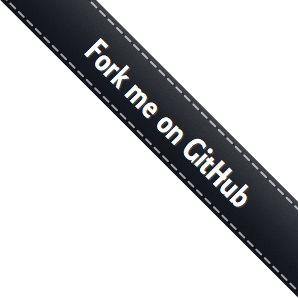 If you are interested, come join us on Github!